Gielle is the world's leading provider of offshore fire protection. We are the largest provider of life-safety solutions for the offshore industry worldwide. Gielle provides electronic security and fire protection solutions in over 70 countries. 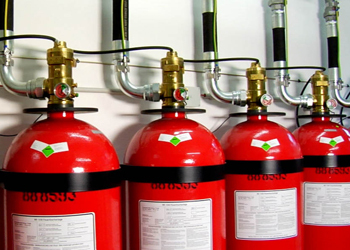 Gielle's solutions can detect a developing fire, arrange for rapid automatic extinguishing and consequently keep damages and interruptions to operations at a minimum. The systems are distinguished through the presence of the authorised and tested chemical extinguishing agents, Novec™ 1230® and FM200® (HFC-227ea). Gielle has the experience and technological knowledge to provide you with firefighting solutions designed in accordance with IMO/SOLAS regulations and many classification societies and national authorities. No matter where your vessel puts into port, from New York to Dubai, we perform whatever service is necessary, including installation, retrofit, recharge, maintenance and emergency repair. We offer these services whether in port, at sea or in the shipyards. 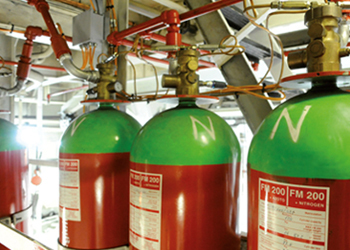 It's our global commitment to keeping your Gielle systems functioning perfectly and in accordance with applicable offshore fire protection regulations. Gielle can provide the services (design and installation, retrofit, recharge, and maintenance) necessary to keep your system functioning properly and in compliance with all applicable offshore fire protection regulations. And because we hold nearly every international offshore approval, we can perform the work wherever you are, whenever you need us. Gielle Fire Systems' products carry an impressive range of type approvals and flag administration approvals. Gielle carries out door fan tests in conformance with NFPA 2001 and ISO 14520 for engine rooms, computer rooms, tape storage, battery and UPS rooms, communications rooms, control rooms, and turbine rooms protected by FM-200, Novec 1230, Inergen, Argonite and other clean-agent systems. Liquid foam concentrate, non-toxic and biodegradable, Cold Fire® is the only patented concentrated alcohol-resistant microbial firefighting agent on the market today. Once the fire is out or the spill is covered with finished foam, the microbes begin remediating the AFFF, hydrocarbon and alcohol wastes. Cold Fire is designed for both class B hydrocarbon and polar solvent fuels. On Class B hydrocarbon fuels, it creates an aqueous film that effectively shuts down the fire. Cold Fire is U/L-162 listed with CE approval granted under the standard EN 1568-3. Gielle has a long and proven track record in supplying solutions for fire protection within the offshore oil and gas market. This experience and expertise is used in providing working solutions to difficult and contemporary environments. Complete design, supply, installation and commission, for both electrical and mechanical aspects. 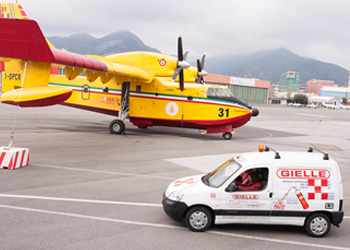 Gielle can also provide fire detection and fire suppression systems together with fire and safety equipment fully supported by annual maintenance service agreements. At the conception design stage Gielle can approach the client engineering team and discuss their detailed requirements for all their needs, offering views based on previous experience and knowledge of the types of hazards involved.